You see, Tony Hawk’s "nuff said" was a bit premature, as now the prodigy called "Big E" (born in 2003!) just landed a 720; that is two full revolutions and a half one; exactly as predicted by Curtix Hendrix two months before… It’s a big deal because Evan is actually the youngest skater EVER to land the 720, and his future is only getting brighter! Congrats to you Evan, you are an inspiration to all of us. Let's put this in context: Hawk became the first skateboarder to hit a 900 in 1999, and six others have done it ever since: Giorgio Zattoni, Sandro Dias, Alex Perelson, Bob Burnquist, Mitchie Brusco and now evan Doherty. Nobody has ever landed a bigger rotation, like a 1080. So the 8-year-old from Salem, New Hampshire is already within striking distance of a mark only a few humans have hit. So, what did Tony Hawk say? 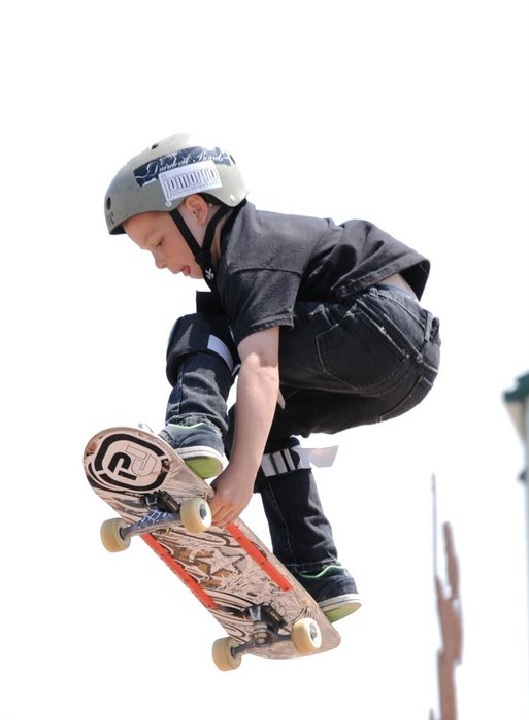 Tuesday night he tweeted "today's news: Demolition Radio starts in 20 min & 8-year-old @evansk8r can do 720's."